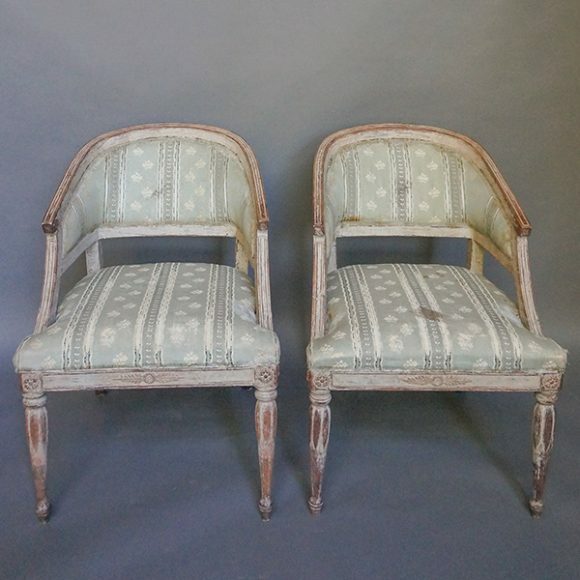 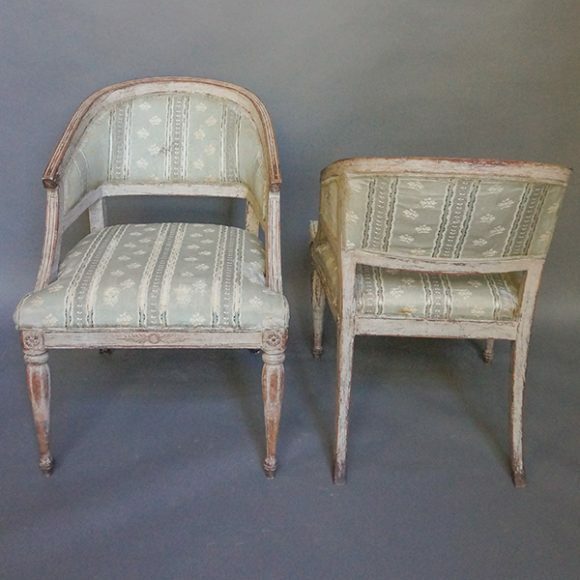 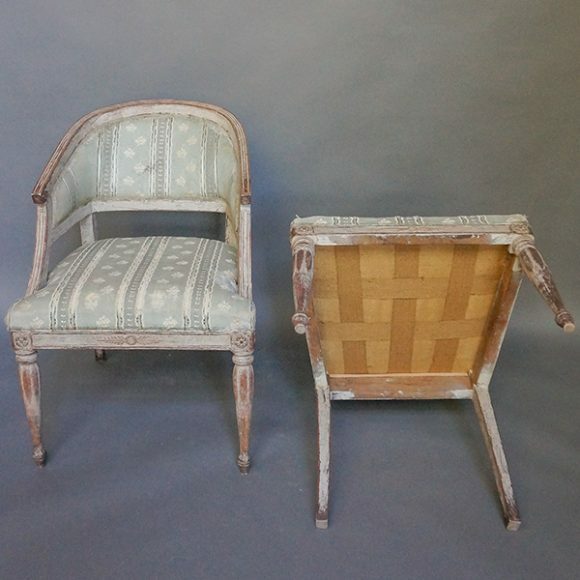 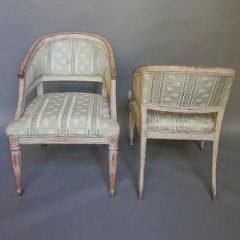 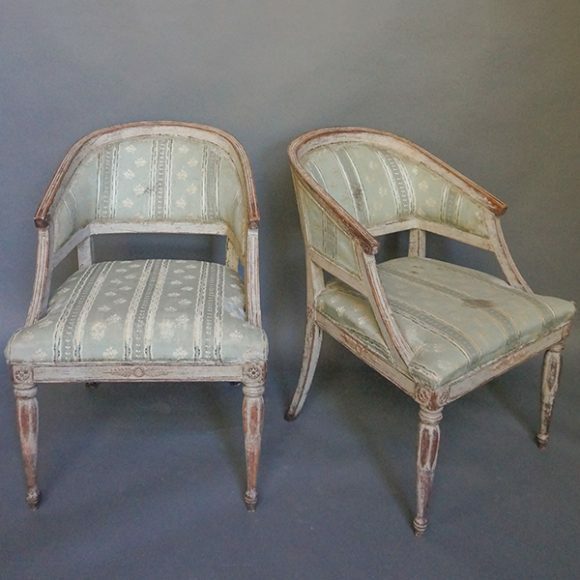 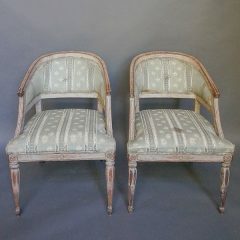 Pair of period neoclassical barrel back chairs, Sweden circa 1820. Incised detail on on the back and arms, and palmettes on the front rail. 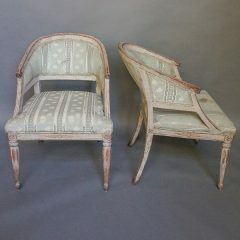 The front legs are turned with lotus carving at the top. Sturdy and very comfortable with no repairs.